“TapTap Heroes” is here! 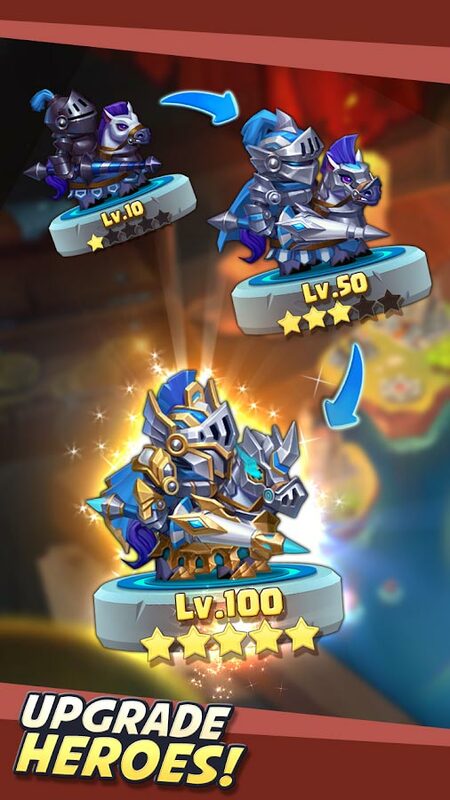 Tap your way to the top in this Idle RPG game! “TapTap Heroes” is here! 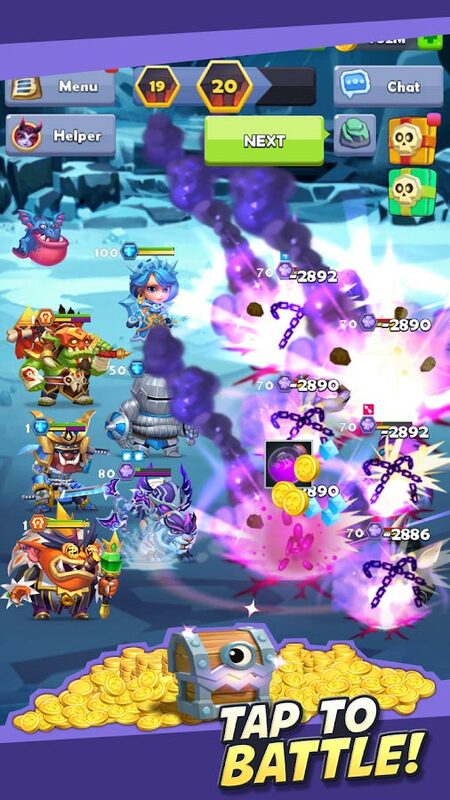 Tap your way to the top in this Idle RPG game with exciting battles and rhythmic Celtic-style music. 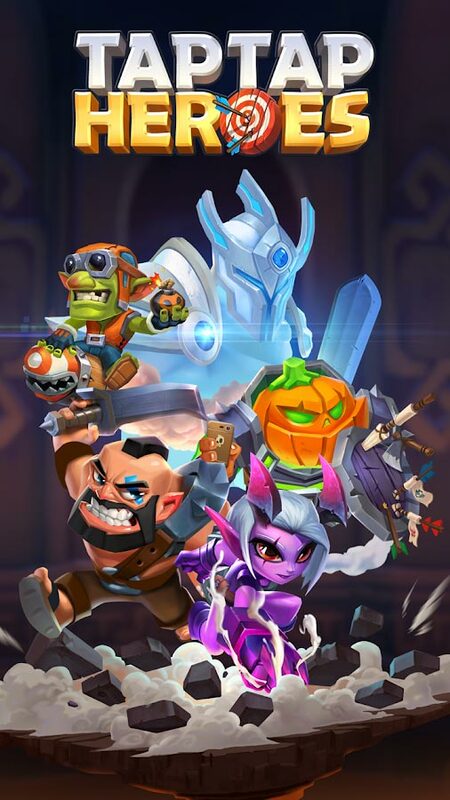 Build up your team of Heroes to take on numerous challenges that provide bountiful rewards! The Idle Mode allows players to increase their power without the endless grinding! 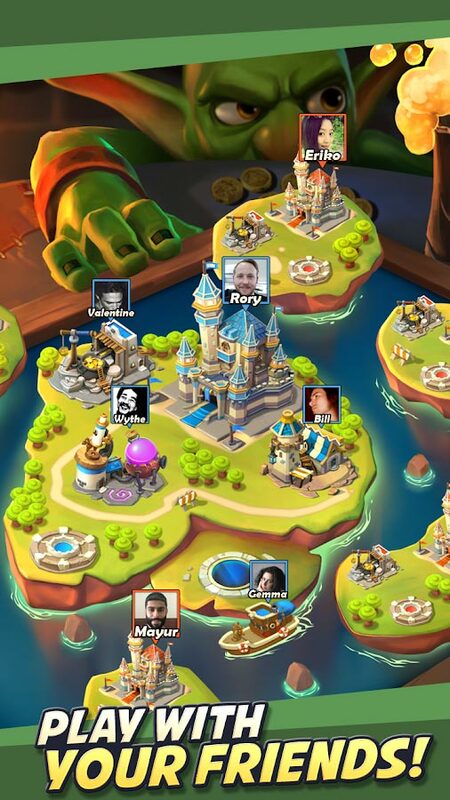 “Taptap Heroes” is an idle game that combines elements of different genres such as strategy, cards, and RPGs. 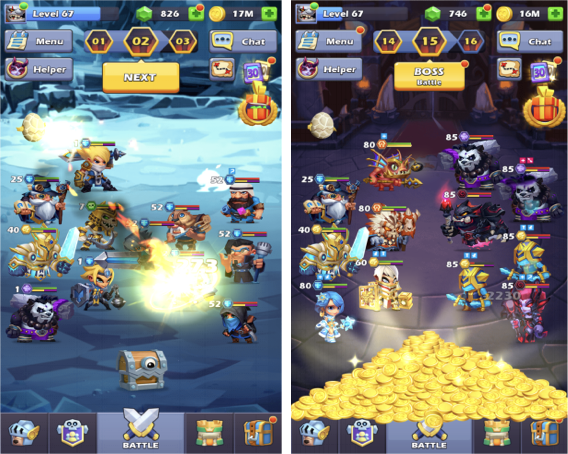 Compared to traditional tapping games, “TapTap Heroes” doesn’t require players to spent hours grinding and instead focuses on strategy development. 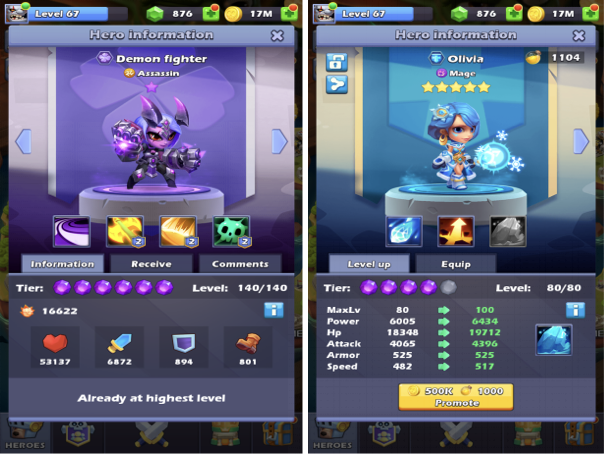 Heroes continue to fight and collect resources even when you’re not playing so players are tasked with planning their resource usage to develop a powerful team! There are a ton of gameplay systems to construct strategies around. The game features nearly 200 heroes across six factions, each with advantages and weaknesses against other factions. Certain faction compositions activate Auras which boost certain hero attributes. 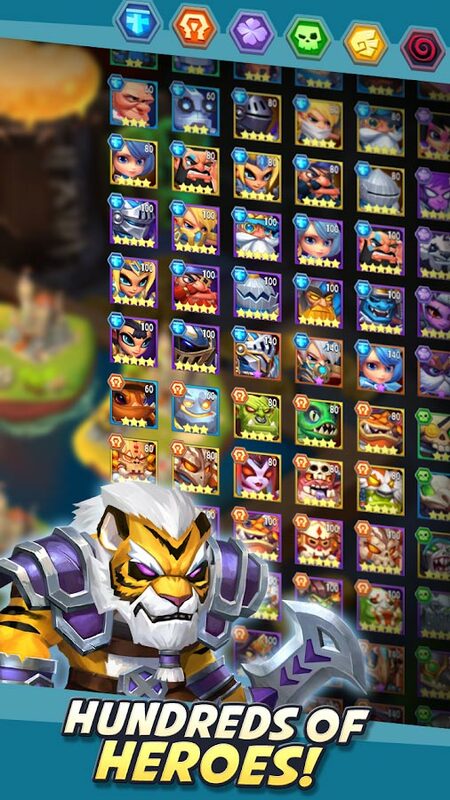 With five different hero classes and 100’s of skills and equipment – the possible strategies and team compositions are endless! Battle through the Campaign and defeat the crafty Freya before she can set her plans into motion. Compete with other players online in the Arena and take your rightful place on the Throne. Or, perhaps, if you’re in a cooperative mood, take up a Guild banner, work with other players to bring down Raid Bosses, and develop your Guild into Mystia’s finest! Plenty of modes exist to help you gather useful items and heroes. Search through the depths of the Den of Secrets to battle against legions of foes. As you go deeper, their power grows, but so do the rewards! Complete Daily Quests and Weekly Events to get amazing items or even get high-rank heroes instantly! A Western-inspired visual style that incorporates magic and humor elements! Exquisite graphics and a clean UI that make the game visually striking and easy to operate. The character designs are simple but don’t sacrifice individuality for clarity. The Heroes express the features of both their faction and their own individual stories through their appearance! Idle Mode allows players to still get useful items even when they aren’t playing. Additionally, many VIP features can be unlocked simply by leveling up your account. So players who opt to take their time will still find themselves with a rich game experience! 1. IDLE system: Your heroes will continue to get fight even when you are not playing! They’ll have obtained tons of new items that you can use to enhance your team and be ready for even fiercer battles! 2. Tapping: Use the tapping feature to defeat waves of enemies before taking on the boss! 3. Countless Characters: Gather over 200 heroes from six different factions! 4. Guild Arena: Play with friends in the action-packed Guild Arena! Join a guild faction and work together to bring down guild-bosses! Follow Ajoy Lab on Facebook and YouTube for insight on future releases! This article was Published by Edamame Reviews, Written by Ajoy Lab.